October sees the British Eventing season draw to a close, and Herbie and I completed our last 2 events this month. First up was Weston Park BE100RF which I was slightly dubious about doing as he isn’t really competitive against the true grassroots horses who are older and much more experienced. However, it looked like a testing XC course which is what I wanted for our penultimate event so off we went to Shropshire and what a lovely event it was! I have been working so hard on my dressage so I was absolutely thrilled to score a 25.8 which is our best mark at BE100 and I still feel there was more we could have improved on. On to the showjumping which didn’t play to Herbies strengths being twisty and quite small. As predicted we had 2 down, both fences being the smallest on the course. 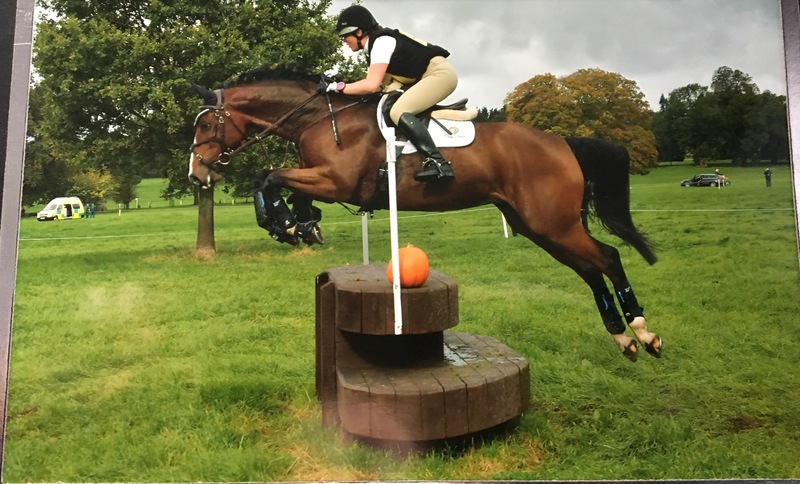 He is bred for showjumping and very scopey, but also a little arrogant with it so he really puts no effort in when he feels the course is too small. So although I was disappointed, I’m not worried as I know he respects a bigger track which is what we want for the future. He warmed up well for XC and for the first time ever he was actually a little excitable at the start box waiting for the count down! He knows his job now, he lives for the xc and it’s so nice to be sat on a horse that is so happy to be out there doing it. 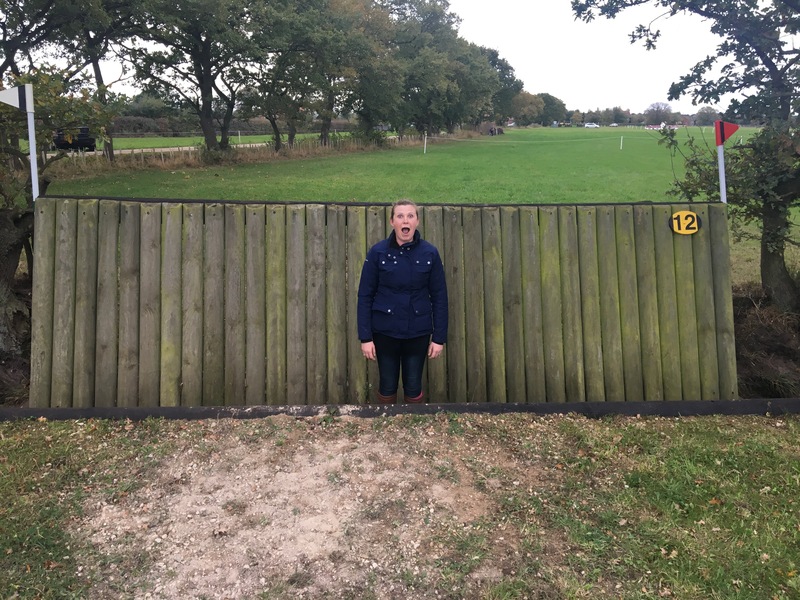 He flew round finding the course easy – almost a little too easy in places and I had to take a pull here and there to make sure he wasn’t too quick going into the more straightforward fences! 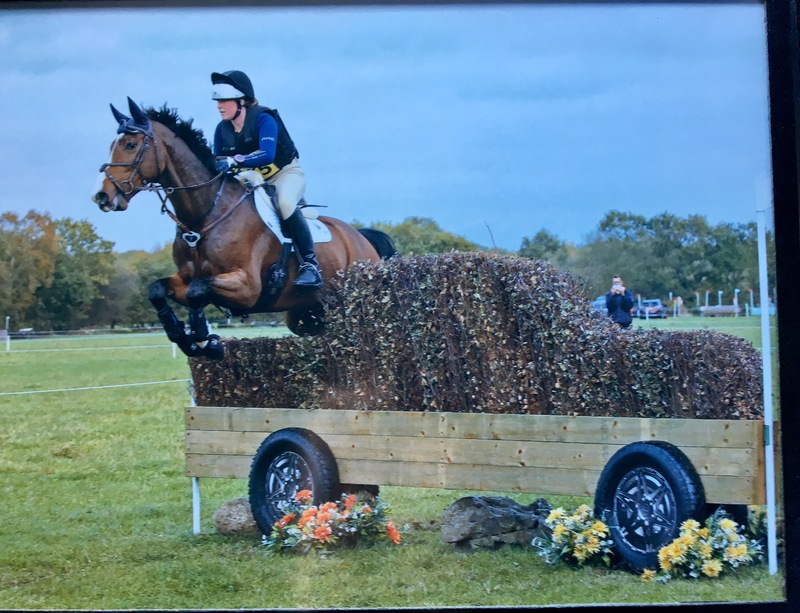 He finished well within the time and full of running so overall a great day which set us up brilliantly for our last event of the season – Norton Disney Novice. With Storm Brian in full swing we headed to Norton Disney and I set off to walk the course. Now I obviously know there is a step up in height/technicality from BE100 to Novice but I don’t think I truly appreciated it until I was walking the course, wondering if I had bitten off more than I could chew with my precious 5 year old! 🙈 No words needed here!!! There were a few decent questions, the main one being 2 angled brushes shaped like L200’s, on a curving line to a rather large and very solid looking corner. Oh yes, and you could jump either the bonnets or the boots of the cars meaning there were a lot of ways this could be ridden and none of them looked easy! Luckily 2 of my old college instructors were fence judging and after chatting to them I felt much happier and confident in the route I had chosen. Herbie warmed up appallingly for the dressage which didn’t do much to instill confidence. With Storm Brian’s winds raging, he spent most of the time curling up around my leg and refusing to bend right. I went in and did my best but he felt tight and spooky, which was hardly surprising in the gales, but we did it and I was proud of him for giving it a go. Off to walk the SJ and I can safely say I was feeling a tad nervous! It was big and with marquees flapping in the wind all around us, I honestly expected poles to be flying! To my absolute astonishment he jumped a beautiful round and was very unlucky to have just one pole down at the end of a combination where he just got a little quick. I was absolutely thrilled with him and was pleased that my judgment was right and he does jump better around a bigger track. On the way back my husband went to check the dressage scores and we had managed a not too shabby 35.5 putting us in the top 25% of the section in our first Novice! He again got rather excited at the start of the xc and I had serious butterflies! Due to my nerves making me over ride him, we didn’t make the best job of the first couple of fences and I could feel Herbie getting annoyed with me so I gave my self a talking to and left him to it! From that moment on he was fabulous – bold, brave and very clever. I decided to take the long route at 12 as I didn’t feel confident jumping the straight route but we went direct everywhere else, including the L200 fence and he just made it feel so easy! He had barely broken into a sweat by the time we finished and although we got 10 time faults I know these were from my over cautious riding at the beginning so I’m not concerned about him making the time in the future. So we finished our season with a clear XC round our first Novice track and I couldn’t be prouder of my awesome 5 year old, who has gone from BE90 to BE Novice in 1 season with no XC jumping penalties. Herbie is now on a 6 week holiday which he thoroughly deserves! Sadly I don’t get that luxury but I can’t complain as I’ll be using this time to get a very nice 3 year old mare, who happens to be by the same stallion as Herbie, going and hopefully prepared for some BYEH classes next year. I also have the beautiful Toya who will be working on her XC this winter as well as continuing with her BD career, and a couple of other young KWPN’s to get going with their ridden careers as well as looking after lots of broodmares, weaning foals and maintaining the fitness and schooling of the older horses at work. No rest for the wicked so they say……………….. roll on 2018! /wp-content/uploads/2016/11/official-logo-text.png 0 0 Ellen Chapman /wp-content/uploads/2016/11/official-logo-text.png Ellen Chapman2017-10-30 11:48:572018-07-04 11:49:50And that’s a wrap………. Mud glorious Mud! Winter is here!